Rev. Tera Klein has served as Throop’s part-time minister since 2012. In March 2017, she accepted the call to serve as their settled, permanent minister. Rev. Tera earned her Master of Divinity from Meadville Lombard Theological School, where she won the prize for religious education. Currently, Rev. Tera also serves as adjunct faculty at Starr King School for the Ministry. Prior to her ministry at Throop, Rev. Tera worked for 16 years as UUA Congregational Life Staff. Rev. Tera is active outside of Throop. 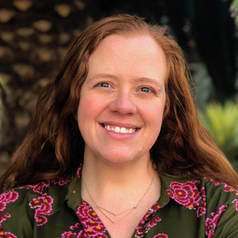 She serves as co-chair for CLUE-Pasadena (Clergy and Laity United for Economic Justice and is on the boards of UU Animal Ministry, UUs for Jewish Awareness, and Faith Action for Animals. She’s a member of Pasadena Environmental Advocates and on the steering committee of Transition Pasadena. On April 2, 2017 she married Rabbi Jonathan Klein. They share their life with four children and two cats. 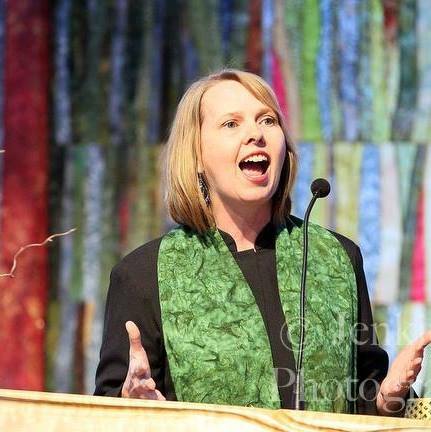 Megan Dowdell is a Unitarian Universalist minister, educator and social scientist. In Fall 2018, Megan entered into a formal relationship with Throop as a community minister in affiliation. Megan received her ministerial training at the Graduate Theological Union in Berkeley, First UU Church of San Diego, and Cedars-Sinai Medical Center here in Los Angeles. She will be ordained in 2019. Megan serves full-time as the Assistant Professor of Ethics and Society at Starr King School for the Ministry, which prepares people for Unitarian Universalist ministry and progressive religious leadership. Meanwhile, she participates in the spiritual care research and chaplain community here in Los Angeles. Her doctoral dissertation focuses on the religious/spiritual experiences of women of color coping with congestive heart failure. The relationship between religion/spirituality and health is central to Megan’s ministry; she looks forward to deepening her relationship to the Throop community as her teaching, scholarship and ministerial practice continue to grow and develop. Megan shares her life with her partner, Stefanie, a cat named Emerson and a dog named Violet. My name is Da'Jon James (DJ) and it has been such a joy working with Rev. Tera Klein and the choir. I can not wait to start as the Music Director in January. Words can not begin to describe my excitement for 2018 year as I happily jump on the bandwagon of camaraderie, joy, and acceptance that Throop has been growing. From the many of you that I've met I have learned a few things about Throop. I learned that you practice what you teach, you treat everyone with respect, and that you truly care about the well-being of all. The sense of family and kinship I felt when entering the building was unmatched by any other organization or place. I am currently finishing my Masters at USC in Choral Music and plan to continue there for a M.S. in Arts Leadership. I am looking forward to using my experience to expand our music program by reaching out to the congregation (get yourselves ready) and the community to be the megaphone for the already vibrant Throop experience. Athaliah Renee Talbot comes with joy and enthusiasm to the Throop Unitarian Universalist Community. Her career in working with children and families spans a mixture of roles and experiences that have prepared her well for the position of nursery coordinator. From building children’s ministries from the ground up in churches to teaching music as a Music Together™️ instructor; from working one-on-one with families and their children as an in-home parent partner to facilitating parent infant-groups through RIE®️— Athaliah has a sensitivity to and a presence with children and families that is welcoming and affirming. With a deep value and talent for creating spaces that are child-centered, Athaliah has been sometimes sought out by children’s ministry coordinators and parents, but mostly she can be found living a slow, and largely unscheduled life with her kids: doodling, baking, reading, and listening to and making music. Lots and lots of music. Athaliah embodies and carries a unique capacity for inclusion and dynamic experiences in diversity. She firstly lives out this model in her home with her husband Geoff, who’s a Kiwi, and their two children, Gabriel and Amélie Rose. Nancy, a Pasadena native, has served as the Administrator of Throop since March of 2011. She came to Throop with a background in nonprofit administration and real estate and serves as both the administrator and tenant manager. Nancy graduated from Pasadena High School and received her BS from the University of Southern California. She is currently working on certification from the Association of UU Administrators. Nancy resides in Monrovia with her partner, David, their 4 young adult (17-24) children, granddaughter, and a plethora of animals.